Homemade Dog Food Isn’t For The Birds, It’s For The Dogs! Have you ever wondered what goes into dog food? 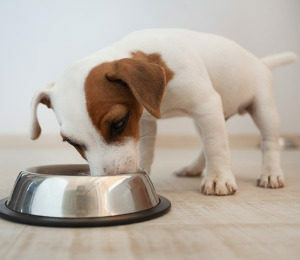 Have you ever looked at the strange jelly-like substance that struggles to leave the can when you’re feeding your pet? 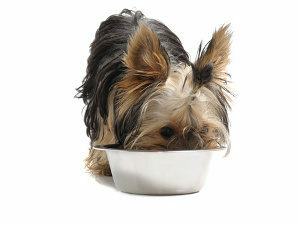 While dog food brands are required to meet certain nutritional requirements on their packaging, it can still be disconcerting to examine how brown and mushy the food your beloved puppy is eating. It isn’t uncommon for pet owners to want to go the extra mile for their additional family members. If you’re the proud owner of a dog who means just as much to you as other family members, and are a bit wary about store-bought goods, you can always have a go at making your own dog food. Making homemade dog food isn’t as difficult as it sounds, and there are many resources online which have homemade dog food recipes that include ingredients like rice, chicken,vegetables, and grains. You don’t have to order a special product online or concoct a chemical: most of the ingredients in homemade dog food recipes are things that appear on a human grocery list. Homemade goods are usually more economical than store bought, and it’s no different when it comes to homemade dog food. Exactly how economical it is depends largely on you and how you plan your groceries. If you really want to commit to the lifestyle changes involved in making your dog homemade food, you will have to be more observant about the things you buy. For example, if you want to make a homemade dog food that includes rice and your family never eats rice, it isn’t particularly economical because the other more expensive ingredients will all soon add up. It is essential for a dog to get the nutritional benefits from meat (particularly the high volume of protein), so if you’re a vegetarian and end up having to buy boxes of chicken cutlets for your dog every week, you’re actually going to spend more money. The money saving aspect of making your own dog food only comes into play if you ensure that the ingredients in the homemade dog recipe complement the food you and your family already eat. If you can achieve this, you can definitely save big money on making your own dog food instead of buying the one from the store. Preparing and cooking food for your dog instead of simply pouring it from a bag from the store isn’t just potentially economical, it can be emotionally rewarding. The moment you finish preparing the meal and see your dog wagging its tail in anticipation, you’ll feel great about going the extra mile for them. When you lift their bowl after they lick it clean, you’ll feel even more exuberant about your decision to make homemade dog food! Because a generic homemade dog food recipe will often contain a variety of meat, vegetables, and grains, the meal you make for them will be a cacophony of colors and textures. For both you and your dog, looking at what you’re feeding them will make you feel like you’re taking great care of them more than any store bought brand ever could. Some store bought foods have colorful bite-sized pieces, but it’s definitely not very appealing when you open up a pack of dry food that is nothing but brown, brown, and more brown! If you decide to make dog food at home, one of the considerations will be storage. One of the benefits of making homemade dog food is that you can store it in the same place as food for the entire family. The recipes often contain perishable or semi-perishable ingredients, so when you make up a small batch you need to use it within two to three days. The leftovers can be stored in the refrigerator next to any leftovers from the family dinner. This is a bonus because usually dog food is quite pungent and needs to be stored elsewhere, so in this respect homemade dog food is much more convenient. Unless you start to plan your family’s diet around the homemade dog recipes you plan to make, it will be very difficult to make sure that whatever makes an appearance at the dinner table will also cater for your dog’s nutritional needs. Just because you’re happy to eat pasta and pizza six days of the week doesn’t mean your dog should. A dog’s immune system is less sophisticated than a human one, so their body cannot compensate as efficiently as ours can when we eat junk for a period of time. Because of this, no matter how little or much time or preparation you’re putting into cooking dinners (or eating takeaways) on a given week, you will still have to prepare your dog’s special homemade recipe. If you’re the long-lost relative of Martha Stewart and love to spend three hours in the kitchen for something that takes three minutes to eat, time doesn’t really factor into the equation. However, if you struggle to get the kids to eat anything more elaborate than sandwiches or french fries, spending an extra hour making a meal fit for a king and then setting it down on the floor for your dog may be frustrating after a while. It’s not impossible to calculate the nutrition your dog needs, but it can be an extra stress to feel responsible for their nutritional intake. What if you miscalculate? The only way you can never miscalculate is to feed them exactly the same homemade food all the time, and surely one of the reasons you go for homemade is to incorporate more variety into their diet? 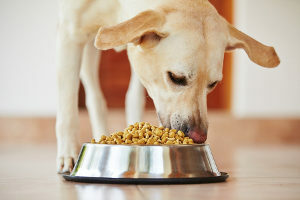 If variety wasn’t on your checklist when you considered making homemade dog food, you can easily come up with a recipe that helps your dog get all of the protein, vitamins, and minerals they need. Most dog owners who buy food from the store buy the same brand every time, so it’s the same idea anyway.